The SaaS Report (“TSR” and now The Software Report) is pleased to announce The Top Women Leaders in SaaS of 2018. 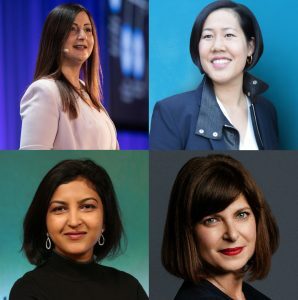 Today, more than ever, it is important that we recognize and celebrate the accomplishments of women in SaaS, software and the broader technology field. By shining a light on these leaders we can help inspire and encourage today’s younger generation of women to aim high and achieve. We congratulate each of the awardees of the Top Women Leaders in SaaS of 2018 and give special thanks to our sponsor Cisco for being a proud supporter of women in technology. 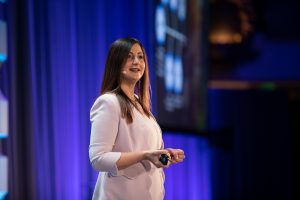 Raja Hammoud is a member of Coupa’s executive management team and holds responsibility for driving the product portfolio strategy, roadmap and user experience for the Company. Raja joined Coupa in 2012, when it was a small startup, and built a leading class products organization that has expanded the depth and breadth of the Company’s cloud based spend management suite. 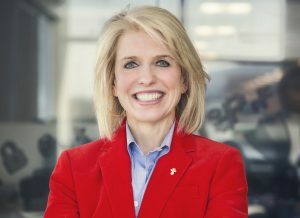 Her accomplishments helped fuel the Company’s growth towards the position it enjoys today as a highly successful and innovative public company. Raja has over 20 years of experience in the enterprise software space. 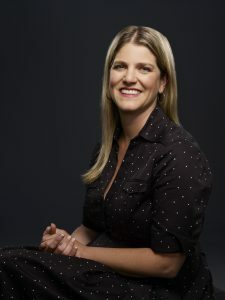 She came to Coupa from Adobe Systems where she directed product marketing for its business process management business and drove the solutions roadmap for Adobe’s Customer Experience Management product line and spearheaded the product management of Adobe’s innovative Social Brand Engagement Solution. 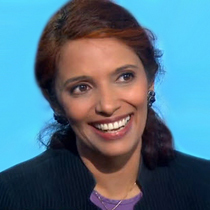 Prior to Adobe, Raja served as Senior Director of Product management for webMethods, where she defined the BPM product roadmap and strategy. Raja received her Bachelor of Sciences degree in Computer Science with high distinction from the American University of Beirut, Lebanon. 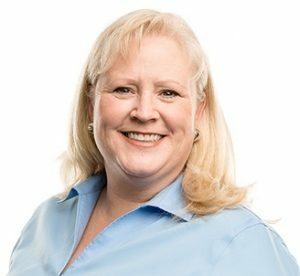 With more than two decades of driving operational excellence across some of the world’s largest cybersecurity and IT brands, Julie now leads ForeScout Technologies’ cross-functional operations and manages the execution of the Company’s top priorities. 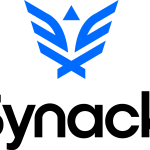 ForeScout offers a highly scalable, heterogeneous platform that provides Global 2000 enterprises and government agencies with visible monitoring and control of the vast array of physical and virtual connected devices. The Company supports more than 2,900 customers in over 80 countries. Prior to ForeScout, Julie was the EVP of Business Operations and CIO of FireEye, which she helped scale from a private company with $80 million in revenue to a successful publicly traded company with revenue of $700 million. Prior to FireEye, Julie held global executive positions with Autodesk, McAfee and EMC. Earlier in her career, she spent 14 years with Oracle eventually rising to VP of Sales Consulting. 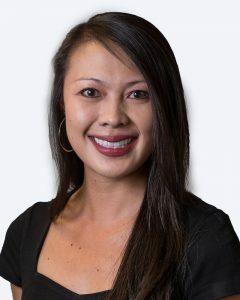 Julie serves on the advisory board for Cobalt.io and earned a bachelor’s degree in finance from Santa Clara University. 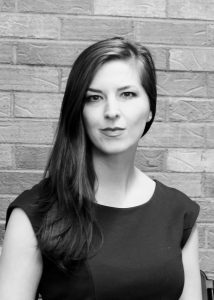 Jen joined Looker in 2015 as Chief Marketing Officer of Looker. She has spent almost two decades building noteworthy brands from the ground-up. As the first executive marketing hire at Box, she oversaw the company’s growth from a small “consumer back-up” start-up to an industry-leading enterprise content collaboration company used by the majority of Fortune 500 organizations. 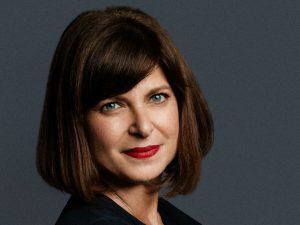 After Box, she spent a few years advising Homebrew’s portfolio, on the board of directors of nonprofit K-12 Team, and led the rebranding of Elastic as CMO. 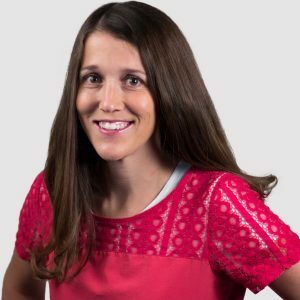 Prior to Box, Jen spent four years at Google leading the Google Apps EDU, Gmail and Book Search marketing teams. While at Google, Jen received the Founders Award, which is Google’s most prestigious award, for her marketing leadership on Gmail in 2007. She earned an AB in English and Theater from Princeton University and an MBA in Entrepreneurial Marketing from The Wharton School. One of Jen’s first roles with a technology company was as a senior consultant with Oracle. Sarika leads corporate strategy, brand and marketing as the Chief Strategy Officer of Tradeshift. She joined the Company in 2015 bringing years of deep experience in key senior roles with large software organizations. Prior to Tradeshift, she was Senior Director of Product Management for Ariba Commerce Cloud. 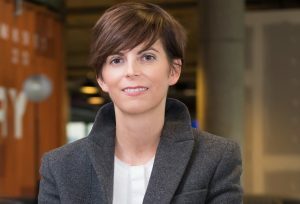 And before Ariba, she spent eleven years with SAP in various positions ultimately culminating in her promotion to Senior Director, Product Management in the Office of the CEO. 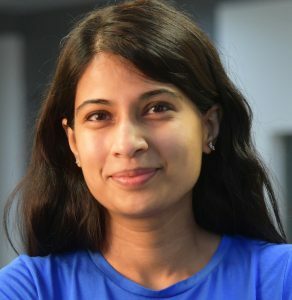 Sarika is passionate about networked SaaS businesses and has spent her career building products that connect supply chains over the cloud. She was also Senior Vice President and General Manager for the Marketplaces business at Tradeshift. Sarika attributes her success to living across the world growing up in Africa, and studying and working in India and Germany. She is an active angel investor and advisor to startups, and mentors young up-and-coming leaders. 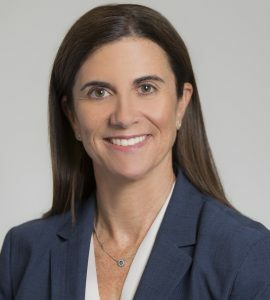 Danielle joined Optiva as CEO in 2017. The Company, which trades on the Toronto stock exchange, is an innovative software provider of mission-critical, cloud-native, monetization solutions to leading communication service providers (CSPs) globally. Danielle has nearly 20 years of executive experience in the technology industry with an emphasis on turning around enterprise software companies. Before joining Optiva, she served as portfolio CEO for the ESW Capital family of companies, leading over 15 turnarounds during her tenure. Danielle is widely recognized as an industry thought leader and has been featured in publications, including Fast Company and The Harvard Business Review. Prior to ESW, she served in senior roles with Freescale Semiconductor and Trilogy. Her first job after graduating from Stanford University with a degree in Computer Science was with IBM. Danielle is an entrepreneurial leader with broad experience in transforming cost structures, growing revenues, building teams and creating customer loyalty. Allison joined Gainsight's executive team when the company had less than $5 million in revenue in early 2014. By 2017, Gainsight was named No. 102 on the annual Inc. 5000 list, a ranking of the nation's fastest-growing private companies. Gainsight achieved 3-year sales growth of 3843% and now has 500 employees around the world. Allison helped build Gainsight’s post-sales functions, including a global team of more than 150 team members across customer success management, professional services, support, business operations, customer marketing, value consulting, and customer engineering. Allison started her career in management consulting for Fortune 500 companies while at Boston Consulting Group and later worked in private equity investing at Bain Capital. At both companies, she helped organizations drive change and scale teams. Allison has a BA in Ethics, Politics, and Economics from Yale University, as well as an MBA from Stanford University. She also serves as a Board Director at SaaS company eCompliance and serves as an Advisor to the venture capital fund Bowery Capital. Jodi leads all operations for the go-to-market team within DataStax, including operations for sales, marketing, partners and customer success, as well as leading recruiting for the DataStax go-to-market team. She leverages over 10 years of operational experience to ensure DataStax’s over 500 customers across over 50 countries continue to grow and are effectively supported. 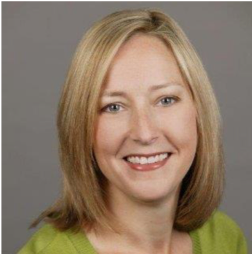 Prior to DataStax, Jodi was Vice President of Global Customer Operations at Alfresco Software and led three teams: sales operations, the sales development team, and corporate (inside) sales. She has held senior sales operation roles at Axiom Law, ServiceSource, and Juniper Networks. And over a nine-year tenure at Juniper Networks, Jodi built and scaled the global legal commercial team and the sales operations team into teams that were linchpins for Juniper’s 3,000% revenue growth, from ~$50 million to over $3.3 billion. Jodi has consistently proven her ability to develop and scale organizations, and to lead through transformative growth periods, in publicly traded and pre-IPO companies. Tara has held executive and senior marketing positions with premier technology companies for the last twenty years. 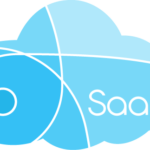 Prior to joining Skuid in 2017, Tara was the CMO of Coupa Software, the leading provider of cloud-based financial applications. And before Coupa she was SVP of Marketing for Proofpoint where she worked closely with the CEO and board to execute on a fast paced re-branding and positioning for an IPO. She started her marketing career in technology with Oracle in the late 90s where she rose to Senior Manager of Worldwide Marketing. Tara has held key senior marketing positions at McAfee, NetSuite, Ketera, Navis, and Zebra Technologies among other organizations. Today, with rapidly-growing Skuid, she oversees the Company’s marketing strategy and execution. 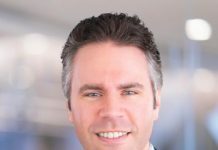 Over the last two years, the Company, which offers a no-code application development platform, has tripled in size while more than doubling revenue and its customer base. Tara graduated from UCLA with a degree in History. She also holds a Masters in Transformative Leadership from California Institute of Integral Studies. Karen leads ZEO Success, which is Zuora’s human resources department, where she focuses on inspiring, engaging, developing and empowering the Company’s employees worldwide. She champions a unique corporate culture where every ZEO feels comfortable bringing their best self to work. Zuora is a leading provider of a subscription management platform that helps businesses in any industry to launch or shift products to a subscription model. 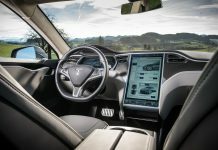 The Company supports over 1,000 customers worldwide. Prior to joining Zuora, Karen spent five years at Synaptics, where she partnered with the CEO and senior executive team to lead the global strategies for people and corporate marketing. Prior to Synaptics, she led the human resources department of Hewlett-Packard. Her responsibilities included organizational design and effectiveness, workforce planning and talent acquisition among several other key talent management functions. Karen holds a Higher National Certificate in Business Administration from the University of the South West and a Bachelor of Science degree in Organizational Behavior from the University of San Francisco. 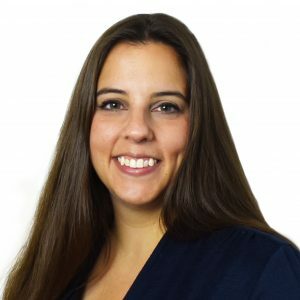 Amanda joined AdvancedMD over twelve years ago in 2006 as an accounts receivable clerk and over the ensuing years was promoted through nine roles in rapid succession leading to her current position as Vice President of Strategy and Business Development. Amanda’s competitive edge, positive outlook and solution-oriented approach have made a noticeable impact on the vision, direction and achievements of the Company. She also played a critical role in Global Payments’ recent $700 million acquisition of AdvancedMD from Marlin Equity Partners. Amanda’s effectiveness as a leader may have much to do with her experience playing various roles within AdvancedMD’s organization. Among them were client facing and management roles as well as financial analysis and business strategy roles. She is passionate about increasing operational effectiveness and profitability and driving continual growth while improving patient care and access to healthcare through innovative software solutions. Amanda earned her bachelor’s degree in communications from Brigham Young University and is fluent in Mongolian. With over 25 years of diverse international experience in nearly every facet of software, Priya is an accomplished, high-growth entrepreneurial CEO with a leadership philosophy centered around engaging clients and employees to build industry leading SaaS software platforms. 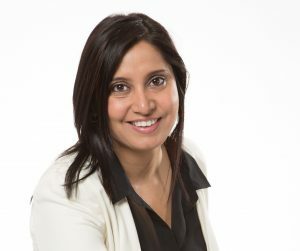 Prior to Vee24, Priya was most recently Chairman & CEO of Anaqua, Inc., which she founded in 2004 and grew into a global SaaS solutions provider for Intellectual Asset Management. Prior to Anaqua, Priya headed Operations at Steelpoint Technologies, a legal software provider for Fortune 500 companies and global law firms, where she drove the company from the red to profitable quarter-after-quarter growth. 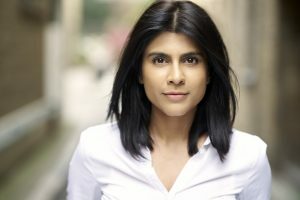 Earlier in her career, Priya was Managing Partner at AGENCY.COM where she founded and grew a financial services practice to $250 million in less than 5 years. Priya has also held senior positions at Bell Labs and Foxboro Systems. Priya holds a bachelors and masters in Computer Science and an MBA from the Sloan Fellows program at MIT Sloan School of Management. She serves on several boards, women executive panels, and is a regular guest speaker at various business schools in the Greater Boston area. 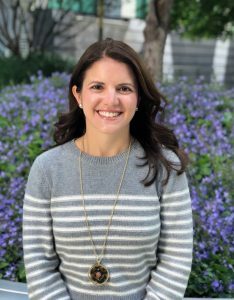 Brittany joined Workday Ventures in 2018 after nearly a decade at Goldman Sachs where she was a senior technology investment banker in San Francisco. At Workday Ventures, she is responsible for leading investments and helping accelerate the growth of portfolio companies. While at Goldman Sachs, Brittany was an advisor to enterprise software and internet companies. She worked on products and advisory assignments, including equity, debt, mergers and acquisitions, and select investments. Brittany completed over 75 financing and strategic transactions during nearly a decade at Goldman Sachs. 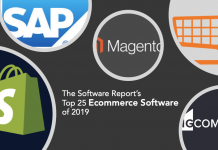 Transactions involved clients including Amazon, Appdynamics, Atlassian, Citrix, Cornerstone OnDemand, Docker, Dropbox, Genesys, Getty Images, Google, Looker, Sabre, Softbank, Sprint, SuccessFactors, Tableau, Tesla, Yodlee, and Zendesk. She spent a significant amount of time identifying, growing, and developing relationships with the next generation of clients for Goldman and led its annual Cloud Conference from 2014–2016. Brittany is a Georgetown University alum, a former NCAA Division 1 Golfer, and IMG Academy / David Leadbetter Golf Academy alum. Carrie joined Information Builders in 2018 bringing over two decades of experience leading, transforming and driving growth in sales and channel organizations. Previously, she served as Vice President Strategic Alliances at Hewlett Packard Enterprise (HPE). In her role, she led HPEs cloud migration strategy and helped drive more than $1 billion of cloud revenue. 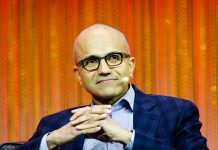 Prior to HPE she held various senior positions with Microsoft over a twelve year span, culminating in her role as GM Sales, Marketing & Programs for Microsoft Learning. As a passionate diversity and inclusion leader, Carrie is an active advocate of Women in Technology and Girls in STEAM. 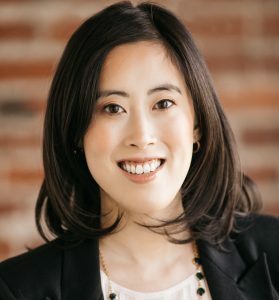 She cofounded Women in Cloud, an organization with a mission to inspire, empower and accelerate growth for women-led technology companies and support female entrepreneurs in cloud industries. Carrie also serves on the advisory board of Corent Technologies, an emerging leader in cloud migration and SaaS-enablement technologies. Carrie grew up in Canada and earned a bachelor’s degree in economics from Wilfrid Laurier University. 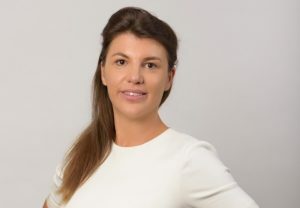 Danielle du Toit drives the overall strategy and operating plan for Cheetah Digital’s Global Services business impacting more than 650 people and serving over 2,000 clients across 13 countries. 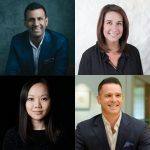 Prior to joining Cheetah Digital, she served in a number of leadership roles at notable software companies, including Salesforce, ExactTarget, and Bullhorn. The Global Services organization is responsible for solution design and implementation, on-going campaign management, program management and technology, as well as creative and strategic services to manage clients end-to-end. Danielle was born and raised in Zimbabwe. While studying physics and computer science at Rhodes University, Zimbabwe’s economy collapsed which led to Danielle seeking opportunity through international pursuits. Subsequently, Danielle and her direct family have lived in 18 countries. She currently lives in New York City, is a contributor to Fortune’s Most Powerful Women column and is a sought after speaker at leading technology conferences around the world. 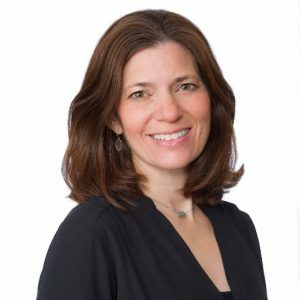 Ida Kane joined AppFolio, Inc. ("AppFolio") in 2015 bringing two decades of executive-level experience leading top performing teams across publicly-traded and private companies. Ida led AppFolio to its 2015 initial public offering overseeing a growth rate of more than 180 percent. As the Chief Financial Officer for AppFolio, Ida is responsible for the Company’s financial strategy as well as legal and administrative operations. Previously, Ida served as CFO of Rightscale, a leader in cloud portfolio management. 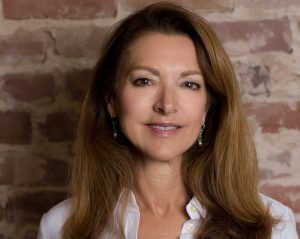 Before Rightscale, Ida served as CFO and Senior Vice President of NASDAQ-listed thinkorswim Group, a leading online brokerage and investor education firm. Under her leadership, Ida’s team works closely with all departments to ensure AppFolio maintains its fast-paced growth and continues to achieve targeted results. 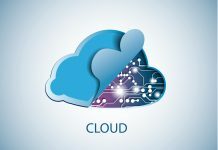 The Company provides comprehensive, easy-to-use, cloud-based business software solutions for small and medium-sized businesses in various vertical markets. Ida received her BS and MBA degrees in accounting from the University of Miami, Florida, and earned her CPA license from the State of Florida. Ann joined Code42 in 2012 as the Enterprise Marketing Director where she led cross-functional teams to plan, build and deploy product marketing strategies. Previously she was the product manager at Rimage, a secure content publishing platform and before that was with Oracle as their Principal Product Director and Senior Product Marketing Manager. Code42 is a leading provider of information security solutions, securing the ideas of more than 50,000 organizations worldwide. Ann started her technology career over 20 years ago as a marketing research analyst for Comdisco. She then went on to hold various positions with technology companies eventually landing at Oracle through its acquisition of Stellent in 2007, where Ann was a product marketing manager. At Oracle she started in the Fusion Middleware group focused on multi-site web content management and Oracle WebCenter and subsequently expanded to cover additional product areas. Ann holds a bachelor's degree in International Relations from the University of Wisconsin. Sandi co-founded Skilljar in 2013 bringing with her deep product experience gained while working at Amazon. Today, Skilljar is a leading customer training and enablement platform used by large enterprise organizations such as Cisco, Verizon, and Tableau to accelerate product adoption and increase customer retention. Its technology platform provides a comprehensive set of tools to successfully onboard, engage and retain customers. The Company is based in Seattle and is backed by Mayfield, Shasta Ventures and Trilogy Equity Partners. Prior to Skilljar, Sandi was a Senior Manager of Product Management for AmazonLocal. There she led a product management team for customer-facing features including initial product vision, requirements, go-to-market strategy and launch execution. She was also part of an exclusive group within Amazon that held veto power over any new hire and was part of every interview loop. Sandi earned a BS and MS in Civil Engineering from MIT and an MBA from Stanford University. She began her professional career as Senior Transportation Analyst for Cambridge Systematics. Alison is a high impact marketing executive who has held a series of key senior positions with successful technology companies including 6sense and Verto Analytics. 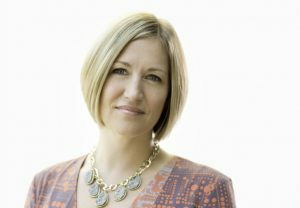 Now as CMO of SocialChorus, a workforce communications platform, Alison oversees all aspects of marketing, including demand generation, product marketing, branding and communications. 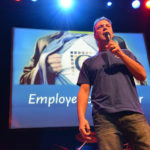 The Company offers a leading workforce communications platform that transforms how workers and organizations connect and collaborate every day. Before joining SocialChorus, Alison was global SVP of Marketing at Verto Analytics, a behavioral market research company based in Finland, and was VP of Marketing at 6sense, an account-based marketing platform. She spent a significant part of her career in technology media in marketing and business development roles. Alison is well-known for building high-performance marketing teams at startup and growth-stage companies, and is a mentor to several early-stage companies. She is also a musician and founder of the musical showcase, Silicon Valley Rocks! Alison earned her BA from Scripps College. Jennifer MacIntosh has over 20 years of experience working with technology and financial services companies with a primary focus of establishing, leading, and growing their customer experience and knowledge management practices. In her first role with Coveo as Vice President of Customer Success, Jennifer grew a team of customer success managers focused on delivering high quality services as well as driving account expansion. Jennifer has held executive roles as a change agent who significantly improved the customer experience at Yahoo, Quest Software and Cognos (IBM). Coveo partners with the world’s largest enterprise technology companies and has more than 1,500 activations in mid-to-large sized global organizations across multiple industries. Prior to joining Coveo, Jennifer was Founder and Principal of Okas Consulting, a global consulting practice and former Coveo partner. Jennifer has deep knowledge and expertise in analytics, customer experience, support, self-service, and knowledge management. As part of WorkFusion’s leadership team, Monica is central to the Company’s rapid growth and customer success. Monica’s career spans over 20 years across both the public and private sectors, and ranges from media conglomerates to start-ups. Prior to WorkFusion, she was SVP of Global Business Operations at Viacom Media Networks. 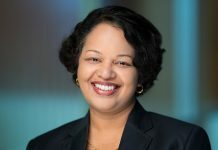 She has held technology management roles at Tacoda Systems, Washingtonpost.Newsweek Interactive, PBS, and NASA Space Station Freedom Program Office. In her current role as SVP of Strategic Services for WorkFusion, a leading provider of AI-based automation software, Monica leads a global organization that helps the world’s top companies to digitize and transform their operations. Monica also serves as a mentor to women in the technology field, helping them to identify and hone their skills and talents. A native of New York City, Monica received a BA from Clark University and MS in Information Systems from Johns Hopkins University. 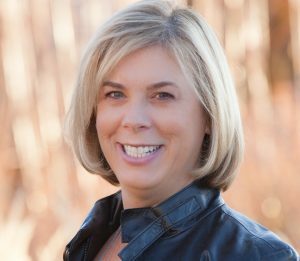 Sherry joined Druva in 2018 after spending six years at Splunk as Vice President of Corporate Marketing. Her leadership at Splunk was instrumental in elevating the company’s brand and its champions’ voices across the globe. While there, Sherry built and led a 60+ person team that helped drive revenue from $70 million pre-IPO to over $1.2 billion in FY18. Today, she is the CMO of Druva, the global leader in cloud data protection and management. The Company is trusted by over 4,000 global organizations and protects over 40 PB of data. 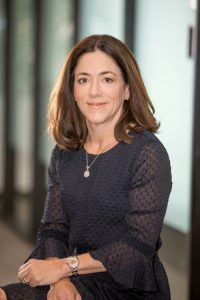 Prior to Splunk, she was Vice President of Marketing at MarkLogic and held senior marketing leadership positions at Actian, Savvion and Business Objects (acquired by SAP). Sherry is also an award-winning former print and television broadcaster and was one of the first ever female sportscasters. She began her professional career as a morning news anchor for KTNV in Las Vegas, NV. Sherry has a Masters of English from Indiana State University and a BS from Arizona State University. Heather Doshay joined Rainforest QA in 2016 where she leads the people development, talent, and employee experience functions. Under Heather’s leadership, Rainforest has taken a data-driven approach that aligns people goals to business goals. Her impact has resulted in the Company winning multiple awards including Entrepreneur 2017 Top Company Culture for medium-sized businesses, 2018 Inc Best Workplaces, 2018 Great Place to Work certified, and the inaugural BambooHR Culture Hero Award. 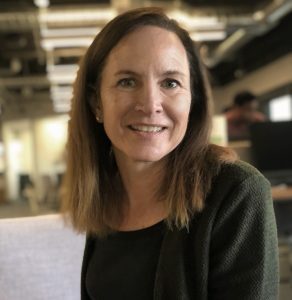 Previously, Heather led the talent team for Hired.com's west region, growing the team that placed thousands of software engineers, product managers, designers, and data scientists in high performance jobs. She started her career in higher education where she founded Women's Programs at UC Merced and taught leadership at the Master's level at the University of San Francisco. Heather received a Masters in Adult Learning from Columbia University and a doctorate in Organization and Leadership from the University of San Francisco. Vijaya joined Lookout in 2017 to lead all aspects of product development including engineering, threat research and cloud operations in the midst of a massive growth phase for the Company. 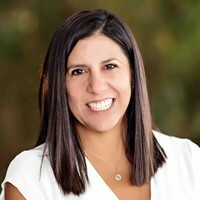 The industry veteran began her career as an engineer with Cisco rising from Director of Engineering to Head of Engineering and ultimately culminating in her role as Engineering Executive with Cisco’s Security Business Group. 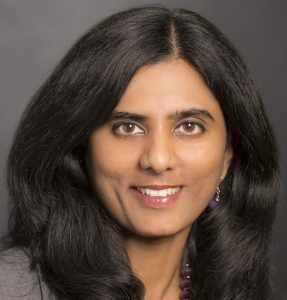 Prior to Lookout, Vijaya was the Senior Vice President of Cloud Products and Engineering for FireEye. Since joining Lookout, Vijaya has quickly made a number of strategic decisions to scale Lookout's product development. Her passion for balancing customer demands with forward-facing innovation has helped transform the culture of the organization resulting in record product velocity. Vijaya believes that "Happy people build great products," and focuses a lot of her energy on employee culture and on innovation and operational excellence. Powered by the largest dataset of mobile code in existence, Lookout is the security platform of record for mobile device integrity and data access. Cassie joined Sailthru in 2013 as the Company’s VP of Analytics and Optimization. She then went on to become Executive Vice President of Global Customer Success / Client Services and in 2018 rose to Chief Commercial Officer. Cassie has an accomplished track record in senior positions of notable organizations. Prior to Sailthru, she was the VP of Marketing & Analytics for the Gerson Lehrman Group (GLG), where she led intrapreneurship efforts and evangelized lean development across the organization. Prior to GLG, she served as VP of Marketing for Savored, which was acquired by Groupon in 2012. 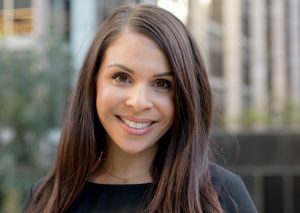 Earlier in her career, Cassie worked at TheLadders.com, where she spent several years managing direct marketing and analytics for the company's subscription business. She began her career as a media and technology analyst at Citigroup Global Corporate & Investment Bank and has also held a variety of consulting roles with leading digital brands such as AOL and SapientNitro. Cassie graduated from Duke University and holds an MBA from the Tuck School of Business at Dartmouth. During her 10 plus years with the Company, she has quickly risen through the ranks holding various leadership roles since 2008, including Chief of Staff, Director of Implementation, and Vice President of Customer Success. Her “if it is to be, it is up to me” approach has guided Quinn to be an indispensable executive leader as her organization has expanded through more than 12 acquisitions in the past three years. She has excelled at people and team management throughout her Company’s M&A activities. Community Brands is a leading provider of cloud-based software for schools, associations, nonprofits and faith-based organizations. The Company works with more than 13,000 organizations. Quinn leads a high impact team of sales and revenue operations professionals responsible for managing all aspects of the sales process. She also manages the business application team to roll out an integrated marketing automation program. Quinn volunteers with AutismUp, a non-profit that assists Quinn’s son. She is a graduate of the University of Cincinnati, where she received a BA in History. Michelle leads Serenova’s global marketing functions including strategy, brand development, communications and demand generation. She provides strategic direction for the Company, working closely with the executive, sales and product teams to help Serenova broaden its footprint in the contact center market across geographic regions. Serenova is a leading contact center-as-a-service (CCaaS) and workforce optimization provider. Headquartered in Austin, Texas, Serenova also has operations in California, Canada, the United Kingdom and Australia. Prior to Serenova, Michelle served as Vice President of Marketing and Analytics at Comcast Business where she also led the customer loyalty contact center. Prior to Comcast Business, Burrows served as the Vice President of Demand Marketing for inContact (NICE inContact). She has also held key leadership positions at Rally Software (CA Technologies), Verint Systems and Genesys Conferencing (West Corporation). Michelle earned a BA from the University of Massachusetts, Amherst and MBA from the University of Denver. Over the past 12 years, Ana has excelled in managing the myriad of complicated financial aspects of the rapidly growing Avature. She is held in high regard by her colleagues for her ability to balance the need for efficiency in a pressured environment while maintaining a strong team culture that prioritizes the development of each of her team members. Notably, Ana’s discipline around managing the Company’s accounting, taxation and regulatory responsibilities have enabled her fellow executives to remain focused on business expansion initiatives. 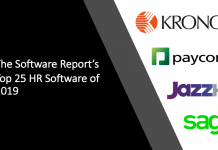 Avature is a flexible enterprise SaaS platform for global talent acquisition and talent management as well as a leading global provider of CRM for recruiting. It was founded by Dimitri Boylan, co-founder and former CEO of HotJobs.com and has over 650 customers across more than 100 countries. Ana has demonstrated great leadership in a time of extraordinary growth, not only in Avature’s biggest markets in North America and EMEA, but in challenging regions such Asia-Pacific where legislation and regulatory frameworks are difficult to navigate. Ana earned her BS in Accounting from Universidad de Buenos Aires. Kasey joined Postman, a fast-growing startup in the API ecosystem, in 2016 bringing deep experience in marketing, strategy, and communications. Growth has since accelerated. As the only complete API development platform, Postman has nearly doubled its user base, released multiple new products, and extended its reach with customers in more 100,000 companies worldwide. Today, over 5 million developers use Postman apps across the globe. Its SaaS product known as Postman Pro was introduced in 2016. "We believe that everyone has the potential to be a developer, and Postman can help," said Abhinav Asthana, cofounder & CEO of Postman. 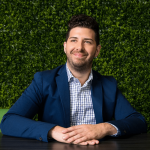 "Kasey's passion for technology, product evangelism, and creative marketing will be a key contributor to that vision." Kasey has held executive positions at multiple technology companies, from startups to large corporations, and began her business career at McKinsey & Company. She holds a BS (with distinction) in electrical engineering/computer science from Cornell University, and an MS in management from the MIT Sloan School of Management. An entrepreneur in her own right, Linda has been part of the founding team for five successful SaaS companies. One of her biggest professional accomplishments was developing the first-ever internet-based HR system. 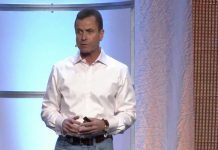 The system, created for a company called USWeb was instrumental as the company went through over 47 acquisitions, and as a result on-boarded more than 2,500 people. 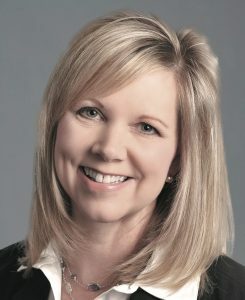 While EVP of Human Resources at Solar City, Linda oversaw the growth of the employee base from 600 to over 10,000 in four short years, creating scalable processes such as a performance management system to help drive efficiencies in people management prior to the company's acquisition by Tesla in 2016. 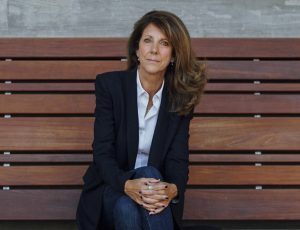 Now at PlanGrid, Linda is managing the construction technology company’s aggressive growth plans including global expansion and a sizable remote workforce. As PlanGrid's employee base has grown almost 25% in the past year, Linda instituted level-based systems and guidelines for employees, compensation strategies, and a learning and development program deemed PlanGrid University. Linda has stated she “loves to build companies” and if you give her a pile of wood, she’ll build a house. Gayle has been leading Homesnap’s communication and marketing strategy since 2014. The Company is a market-leading national home search platform and productivity app for consumers and real estate agents. Homesnap provides over 875,000 agents with access to fast business intelligence through mobile tools. Prior to joining Homesnap, Gayle developed and oversaw social media marketing and communications at Discovery Communications. Gayle has over 14 years of in-house and agency experience developing and executing PR, marketing, digital and social media strategies. She is very passionate about the power of digital marketing and social media to facilitate and inspire connections and engagement between brands/organizations and their target audiences. Gayle also managed social media strategy for a variety of corporate and entertainment clients at DC-based crisis communications firm The McGinn Group. Gayle has a BA from Brown University and a JD from Harvard Law School. 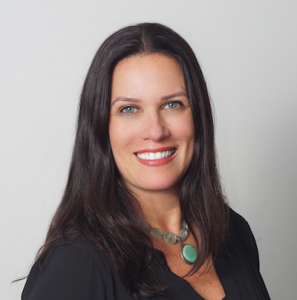 Laurie leads Tealium’s global sales operations as well as the Company’s enablement programs. She has spent the large majority of her career with highly regarded technology companies including Mulesoft where she led business operations and Limelight Networks where she was Vice President of Sales Operations and Enablement. She joined Tealium in 2015 as an operations and analytics consultant and was later promoted into the VP of Global Sales Operations position. Laurie has over 15 years of experience in technology and strategy, helping to foster data-driven optimization efforts at growth-stage organizations. Tealium revolutionizes today’s digital businesses with a universal approach to customer data orchestration – spanning web, mobile, offline and Internet of Things devices. The Company offers a turnkey integration ecosystem supporting more than 1,000 client-side and server-side vendors and technologies. 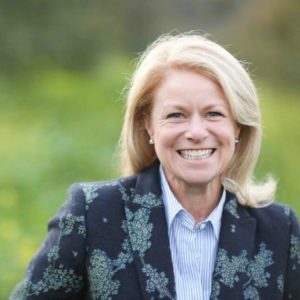 Laurie holds an MBA from the Amos Tuck School of Business at Dartmouth College and a BA in economics and BS in math and computer science from the University of Illinois, Champaign-Urbana. Amy brings more than twenty years of human resources experience to Phreesia, where she is responsible for the design and implementation of all talent strategies, policies and processes across the Company. 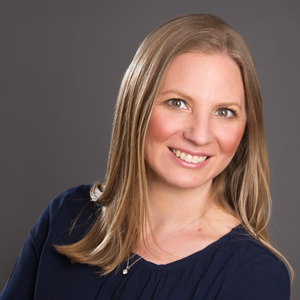 Prior to Phreesia, Amy worked in human resource leadership roles across many industries, including hospitality, SaaS and public relations, contributing to the growth and culture of companies at a variety of sizes and stages. Her passion lies in working closely with business leaders to define and implement talent strategies and creating environments where people can excel in their careers. Amy holds a BA from Michigan State University. Phreesia helps medical groups, health systems and payers leverage patient intake to achieve their strategic objectives. The Company was founded in 2005 to automate check-in and streamline front-office workflow. Today, Phreesia manages intake for over 70 million patients annually through a robust platform of applications, including patient registration, revenue cycle management, clinical support, appointments and patient activation. Parul joined Besedo in 2016 and is responsible for leading the Company on growth strategy and execution as it transitions from a primarily service orientation to being product centric. She spearheads both the drive towards new offerings to existing markets as well as ensuring existing offerings reach newer markets. Prior to Besedo, Parul was the Chief Revenue Officer at Hansoft (now Perforce), where she more than doubled the growth of the company for three consecutive years. Parul was also instrumental in executing the go-to-market strategy and attaining product-market fit for Favro, a SaaS planning and collaboration app. Originally from India, she has been living in Sweden for more than 10 years. Parul’s sales career led to her traveling the globe while learning about cultural nuances of countries from Japan to the United States. She believes these experiences have helped her understand people better and become a more effective leader. Parul earned a Master’s degree in Business Administration with a specialization in Brand Management. Heidi has excelled as a marketing executive in the software space in a short period of time. 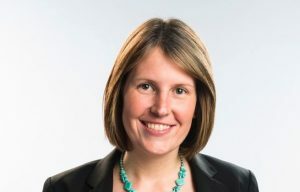 Prior to joining Engagio in 2017, she held senior positions with Marketo, most recently as Vice President of Global Marketing following the company’s 2013 IPO. There she rose quickly over a four year period. 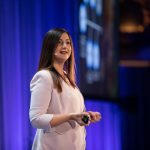 As the Chief Marketing Officer of Engagio she leverages her array of skills including digital marketing, brand development, social media, and partner marketing among many other skills. Engagio provides business to business marketers with a platform technology to create and measure customer engagement while automating processes. The Company was founded in 2015 and is based in San Mateo, CA. 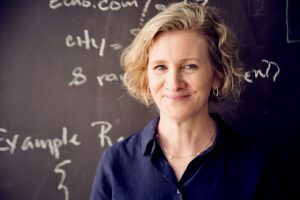 Heidi began her career as a product manager in the life sciences industry, after graduating from the University of California, Santa Barbara, with a degree in molecular biology and genetic engineering. Later, she earned an MBA at St. Mary’s College of California. Gefen has played a critical role in spearheading and shaping the future of Celtra’s products. She joined Celtra in 2011 as the Vice President of Product and has been largely responsible for ensuring that Celtra continues to disrupt the ad tech industry with constant innovation around data-driven creative. The Company’s SaaS products power digital advertising for over 4,000 brands including those of notable large enterprises such as Uber, Unilever, VICE and NBC Universal. Gefen brings over 15 years of deep experience in product design and management. Prior to Celtra she drove product design and strategy at Mediamind (now Sizmek). There, she was responsible for building a creative suite from the ground up while leading global strategy for mobile and emerging media. 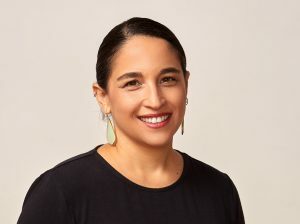 Gefen currently serves as a board member of the IAB Mobile Center of Excellence and is an active voice and advocate of quality user experience in advertising. She earned her B.ED Degree in Visual Communication from the renowned “Bezalel Academy of Art and Design” in Jerusalem, Israel. Katherine Kostereva is CEO of bpm’online, which she founded in 2013. bpm'online is a global business software company leading in the space of business process automation and CRM, which provides an intelligent platform to accelerate sales, marketing, service and operations. She brings over 15 years of experience in enabling businesses to optimize sales, marketing, services, and overall operations for thousands of customers and hundreds of partners worldwide. Katherine has been ranked among the top three CEOs in Boston and recognized as one of the most influential women in BPM industry. Katherine’s vision and strategy have led bpm'online to the highest customer satisfaction scores in the CRM and BPM sectors. She received hundreds of nominations from her colleagues in the The SaaS Report's Top SaaS CEOs and Top Women Leaders in SaaS processes accompanied by a large volume of notable comments highlighting her effectiveness as an exceptional leader. Her client portfolio includes companies such as Kraft Heinz, Bayer Crop Science, OKI, Adidas, L’Oreal and many others. 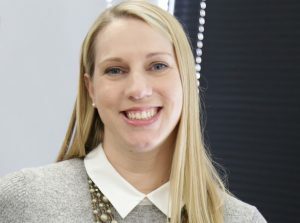 Elizabeth joined SnapLogic in 2016 as the Company’s Corporate Controller and was subsequently promoted to Vice President of Finance and Administration. A member of SnapLogic’s executive team, she oversees accounting, finance, HR and legal functions. The Company is a leading provider of self-service application and data integration. 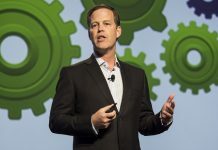 Hundreds of Global 2,000 customers – including Adobe, AstraZeneca, Box, GameStop, Verizon, and Wendy’s – rely on SnapLogic to automate business processes, accelerate analytics, and drive digital transformation. As the head of finance Elizabeth was instrumental in SnapLogic’s successive financings of over $75 million. She is an experienced corporate controller and management consultant specializing in business process reengineering for finance organizations. Prior to SnapLogic, she was the Director of Financial Planning and Analysis and later Corporate Controller at Merchant e-Solutions, a fintech company. Elizabeth holds an MBA from the Tuck School of Business at Dartmouth College and a BS from the Haas School of Business at the University of California, Berkeley. 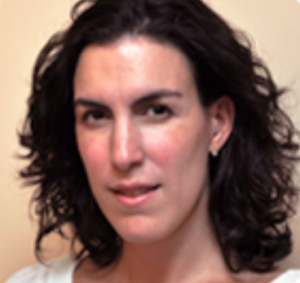 Elizabeth joined Simpli.fi in 2011 as the Company’s Chief Customer Officer. She has spent her career in online marketing capacities for internet and technology companies such as Adshuffle and True.com. Simpli.fi is a leading provider of localized programmatic advertising. 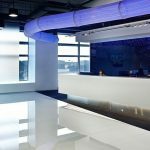 The Company works with the largest buyers of localized advertising, including multi-location brands, agencies, local media groups, networks, and trading desks. Elizabeth leads the Company’s client services team with a focus on driving client satisfaction and progress through campaign performance. As a true servant-leader, she focuses primarily on the development and well-being of her employees first and helps her team perform as successfully as possible. Prior to Simpli.fi, Elizabeth served as the Director of Client Development for AdShuffle, an online ad server, where she focused on sales, marketing, client services, and business development. She holds a Bachelor’s Degree in Government/Pre-Law from the University of Texas at Dallas. Joanie joined Expensify in 2014 to build out the Company’s digital presence. Since then, she has helped grow Expensify into the most recognizable expense management platform in the space through unconventional means, including ExpensiCon - the industry’s first all-expenses-paid thought leadership conference. She also wrote the industry’s go-to guide on preaccounting, spearheaded the launch of some of Expensify’s biggest initiatives including the ExpensifyApproved! Program, CPA.com partnership, and Expensify Australia, and continues to grow Expensify’s brand globally with a world-class team. Joanie holds a BA in International Relations from Tufts University. Expensify provides an expense management solution for companies of all sizes, from solopreneurs to the Fortune 500. 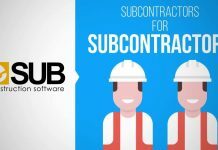 The Company’s solution is offered through an app that automates the expense reporting process from end-to-end by employing SmartScan OCR receipt tracking technology, company card management, next-day reimbursement, and other features that automate tasks for accountants, finance professionals, and employees. 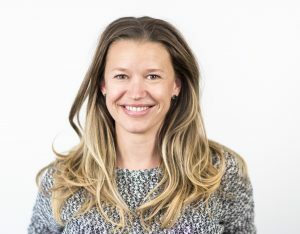 As TrackTik’s Vice President of Operations, Julie Lacasse has been instrumental in building this SaaS from the ground up; established in 2013, the company boasts an impressive year-over-year revenue growth of ~80%. Julie oversees three departments: Client Success, Client Experience and Solutions, while leading several change management projects in the company. Her keen strategy-building abilities have in turn helped TrackTik grow internationally and establish itself as a client-centric security workforce management software company. TrackTik's cloud-based workforce management solution provides real-time guard management, incident reporting and business analytics tools that helps secure 160,000 facilities across the world. 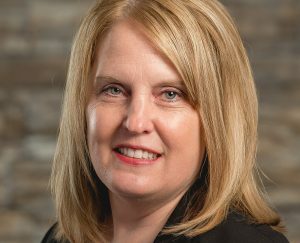 Julie has a diverse background in the world of business, having worked at Labatt Breweries and Mosaic Sales Solutions previously. She's held positions in marketing, human resources and software implementation. These diverse roles have equipped her with a keen understanding of the overall operations of a company, leading her to contribute meaningfully to TrackTik's scale-up success story. Dagmar joined Socialbakers in 2016 to lead the Company’s human capital management function. She brings over 13 years of extensive human resources experience. Prior to Socialbakers, Dagmar worked at Microsoft, as the HR Lead for the Czech Republic. And prior to that, she was with Avery Dennison as the HR Director for EMEA. Dagmar is highly regarded among her peers for her strong work ethic and integrity. She graduated from Charles University in Prague with a Masters Degree. Based in Prague, Socialbakers is a social media marketing partner to thousands of businesses including over 100 of the Fortune Global 500. The Company offers a marketing platform that leverages machine learning to help brands make smarter investments on social media. Socialbakers was founded in 2008 and has additional offices in London, San Francisco, New York City, Plzeň, Split, Singapore, Sydney, Paris, Munich, São Paulo, Mexico City, Dubai and Istanbul, supporting over 450 employees globally. Cassie leads Reputation.com’s customer success, business listings, social media and review response operations. She was instrumental in starting the Company’s Arizona office, hiring and developing a dynamic team while focusing on creating a great culture. 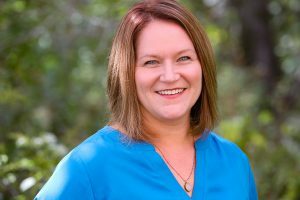 During her career, Cassie has helped grow businesses ranging from first-year start-ups to public companies, building customer success and operations teams into high-performing teams. Cassie is an Arizona native and earned her BSBA from Northern Arizona University with an emphasis in Marketing and Management. Reputation.com provides an online reputation management platform for large, multi-location enterprises. 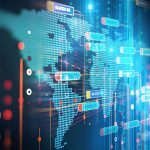 The Company helps enterprises monitor and improve online ratings and reputation, and optimize the customer experience. Its platform includes advanced analytics and reporting capabilities providing valuable operational insights that help clients optimize operations. The Company is based in Silicon Valley with ofﬁces in Arizona, Europe and Asia and is funded by the same venture capital ﬁrms that backed Skype, Intuit and Symantec. As the Vice President of Marketing for Mobile Solutions, Alice built the Company’s marketing program and team from the ground up and is responsible for all facets of the marketing spectrum, from designing program strategy through measuring performance and optimizing results. Based in Colorado, Mobile Solutions provides full life-cycle managed mobility services that includes procurement, expense management, business analytics, and reporting among many other services. Alice brings more than 10 years of integrated marketing strategy and execution experience. She is highly skilled in demand generation, digital marketing, reporting and analytics, CRM, marketing automation, as well as team building and mentoring. Alice is a member of the Enterprise Mobility Exchange Advisory Board and Enterprise Technology Management Association PR Committee. She began her career in technology with EMC as a marketing and sales coordinator. Alice earned a BS in Business Administration from the University of Colorado at Boulder. 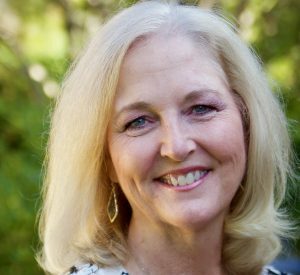 Jan has been working in the education and education technology fields for virtually her entire career, which has included actually selling Apple Computer hardware to K-12 schools in the mid to late 90s. 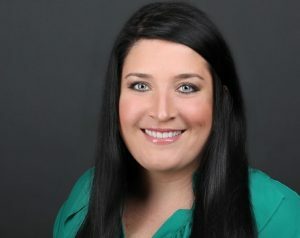 Today, she is the Senior Vice President of Sales for ClassLink, a company which is helping school districts deliver 24/7 access to software and files from any computer, anywhere. In her current role, Jan oversees the Company’s sales strategy and execution, which involves visiting and helping school districts that are struggling with the use of online technology. For the first 17 years of her professional career, Jan worked with the Irving ISD as an educator and instructional technology director before leaving to work with various education technology companies including AlphaSmart, Edmodo, Pearson, and Renaissance Learning. She has presented at numerous webinars and conferences, including most recently ‘Digital Learning: Improving ROI through Easier Access, Better Analytics’ at the 2018 Superintendents Summit at the DA Leadership Institute. She has a Masters degree in instructional technology from the University of North Texas. Ann has been critical to the growth of BirdDogHR since she joined the Company in 2013 as Marketing Director. Since then year-over-year revenue growth has consistently ranged approximately 30% to 60% with marketing driving over 50% of new business revenue. She has over twenty years industry experience creating integrated business to business marketing strategies. BirdDogHR’s primary focus is helping companies attract and retain skilled teams, manage and improve performance, and stay compliant with federal regulations as a complete talent management solution provider. Prior to BirdDogHR, Ann developed marketing plans and strategies for multiple Inc. 5000 companies, both local start-ups and global organizations. Notably, she was the Senior Marketing Manager of SumTotal Systems, another human capital management solutions provider. As a servant leader at BirdDogHR, Ann leads a team that helps companies build great workforces. Ann is a native of Des Moines and holds a BS in Journalism & Mass Communication from Iowa State University. Eryn joined Toptal in 2016 and has quickly risen from Client Partner to Head of Community and most recently Director of Operations. 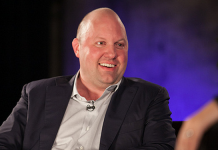 The Company is a network of the world’s top 3% of software engineering, design and finance talent available on demand. Toptal generates over $100 million in annual revenue and has achieved triple-digit growth. It is the largest fully distributed workforce in the world. Eryn leads operational initiatives for Toptal’s core team as well as for members of Toptal’s global network of expert freelancers. 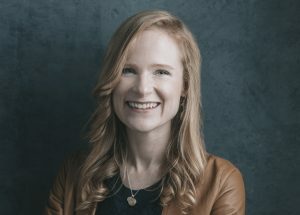 Bringing cross-functional operational experience from time spent at Sony and Mercedes-Benz, Eryn manages talent strategy initiatives ranging from retention programs to advanced skill education initiatives. 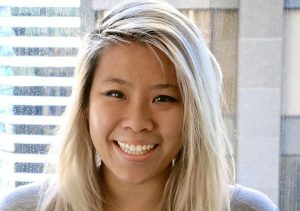 Eryn also leads the Company’s corporate philanthropy efforts, TopVolunteer, which recently announced a partnership with Tent, a global refugee organization, and is heavily involved in the Toptal Scholarships for Women initiative. Almitra has rapidly ascended within the tech community starting her career at EMC as a software engineer then moving on to Cisco where she was a Product and Solutions Marketing Head. From there she led global marketing efforts at Twilio before being recruited away to Clevertap, where she continues to make her mark. As Head of Marketing & Global Growth, Almitra has built and groomed a world-class marketing team across San Francisco and Mumbai and has developed and delivered on an ambitious global marketing strategy. 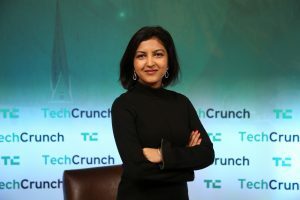 Almitra is a prominent member of the Silicon Valley startup community, having led product marketing at Twilio, and most recently building out Splunk’s global brand recognition. 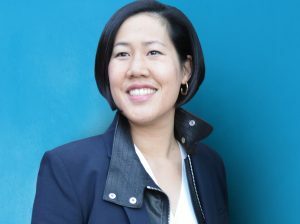 While at Twilio she managed key strategic initiatives and played a cross functional leadership role enabling her to drive customer engagement and capitalize on cross-sell and up-sell opportunities. Almitra earned a BS and MS in Computer and Information Science as well as an MBA in Product Management and Marketing. Roni Mizrahi joined Duda, the leading web design platform for web professionals, in 2014. Shortly thereafter she was named the company’s Head of Marketing, overseeing all marketing programs, including branding, corporate communications, lead generation, sales enablement and product marketing. Duda is a leading web design platform for all companies that offer web design services to small businesses. It currently hosts more than 12 million websites. 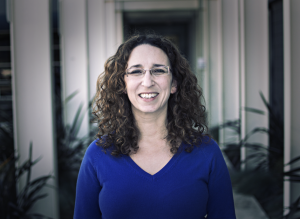 During her time with Duda, Roni has built and groomed a team of world-class professionals distributed globally between Palo Alto and Tel Aviv. She believes in combining vision and resourceful, out-of-the-box marketing ideas with data-driven decision-making to accelerate SaaS company growth. 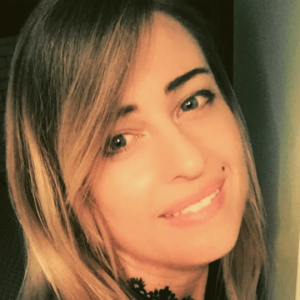 Before transitioning to the web design space and working for Duda, Roni was a growth consultant to a variety of B2B and B2C companies and led online marketing programs for Spark Networks brands in Israel and France. She earned a BA in Mass Communication from the Hebrew University of Jerusalem. 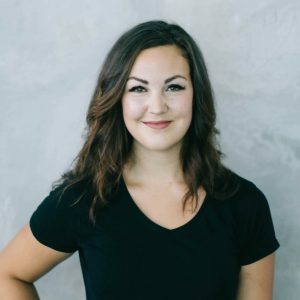 Paralee joined Kapost in 2016 as the Company’s Director of Content Marketing. She currently leads Kapost’s brand and digital marketing efforts working with teams across the organization to ensure alignment on company-wide strategies and initiatives. The Company partners with marketing professionals as they build and manage a content operation that produces and delivers timely and targeted content at scale. Prior to Kapost, Paralee was a key marketing professional with eCornell where she was responsible for building the marketing automation strategy and infrastructure from the ground up. She worked with instructional designers, industry experts and Cornell University faculty to create impactful and relevant content. A former high school Spanish teacher, Paralee uses her teacher's voice and pen at Forbes, CMI, Kapost's own Marketeer, the Digital Creative Institute, and General Assembly to modernize how marketers think about content. She earned a BA from The University of Georgia.